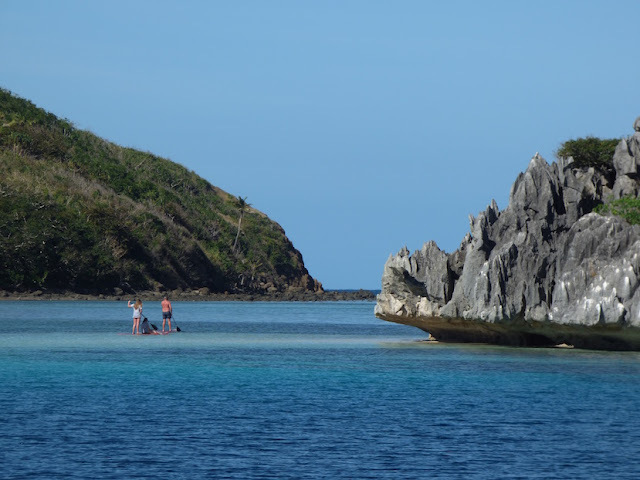 Galley Wench Tales: FIJI: Caves at Sawa-i-Lau, Yasawas?!? Sawa-i-Lau, Yasawa Island, FIJI. Yes, I really did take this photo and it really is this stunning! FIJI, Yasawa Island, Sawa-i-Lau: Who could resist a trio of swimmable caves? 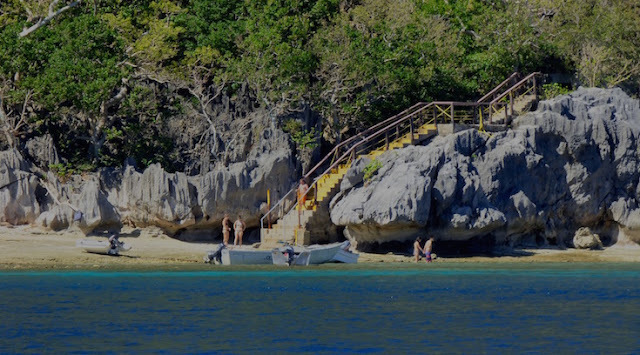 Indeed the Yasawas Sawa-i-Lau caves are considered #1 on the "must do" list for the Yasawa Isles, both in Trip Advisor and by several folks in cruiser-oriented Soggy Paws Fiji Compendium. Sawa-i-Lau cave entrance. Yasawa Island, FIJI. Then again, we love beaches. Most of the places we've cruised in the South Pacific (notable exceptions: Panama's Contadora in Las Perlas, Galapagos [as long as you don't mind being usurped from your spot by a seal], French Polynesia's Tuamotus and Tonga's Ha'apais) have not been all that beach-y. One Soggy Paws writer described the Yasawas as a cross between the Tuamotus, Tonga and Fiji's Laus. That sounded pretty darned good to us! Charter boat. One of two ways to get to Sawa-i-Lau caves (if you're not cruising). The other is by float plane. We figured we'd enjoy a more leisurely cruise in a few spots in the Yasawas, rather than skip them or try to cram in too many stops in too short a time, which would've been the case if we went to Traveuni. We hung a u-turn, did some Southwestern short hops with rather than against the wind down Vanua Levu, then overnighted to Sawa-i-Lau, Yasawas. Paddleboarders at Sawa-i-Lau, Yasawas, Fiji. 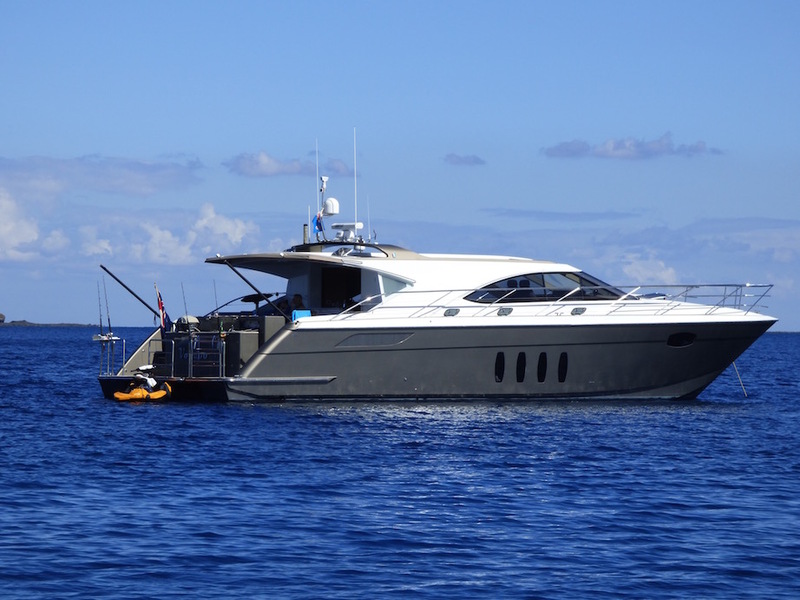 These folks were off another catamaran charter, though they stayed overnight. We anchored off Yasawa Island's Sawa-i-Lau area in the morn in a misty downpour. Before long, though, the sun came out and... Wow! Soaring purple-gray basalt cliffs fringed with verdant tropical hillsides. Dramatically spired rock formations, thrust sword-like, skyward, rising up out of the ocean along the shoreline and from the shallows. As the tide recedes, their rounded bases with mushroom-like stems further accentuate their already surreal appearance. The water shimmers in blue-green jewel tones... jade, emerald, turquoise, aquamarine, cobalt. shifting as the light and tides rise and fall. The ubiquitous and quintessential arc of coconut palms complete Sawa-i-Lau's picture-perfect setting. Fire. Yasawas, Sawa-i-Lau, Fiji. 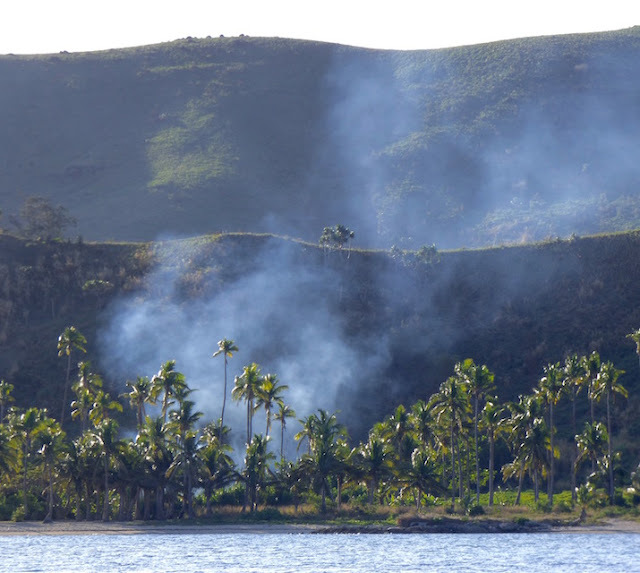 Unfortunately, fire's as ubiquitous as the coconut palms in the South Pacific. Here at least we were not downwind of it. Oh. Yeah. We came here for the caves! Then another cruiser let us know the caves now cost $55 FJD/person. They chose to opt out. Given the fabulous land and sea caves we've already seen -- many of them free -- so did we. While most folks rave about Sawa-i-Lau caves, one Soggy Paws writer commented -- back when the caves were $5-10/person plus a $15 shared guide fee -- "It's just a cave. Good for 20 minutes amusement." Granted, if we weren't on a multi-year exploration, or vacations were few and far between, sure, it would make sense to pop for the cave. Certainly, the folks who arrived at Sawa-i-Lau caves via charted sea plane or boat are likely to find the entry price chump change, comparatively. If we had kids, we'd also spring for the experience, even if we passed. Despite passing up on Sawa-i-Lau's caves, their primary draw, we don't for one minute regret our stop there. Caves or not, it's a drop dead gorgeous spot! These Sawa-i-Lau's rock formations reminded me of Saguaro-cactus. 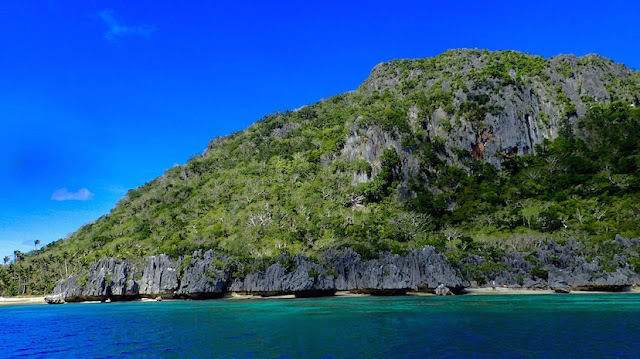 Yasawas, Fiji. Low tide reveals the mushroom stem like water undercut on these unusual rocks.